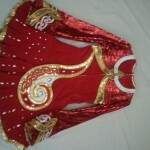 Gorgeous, almost brand new Open Champion Gavin Doherty dress. Only worn once. Selling due to transfer to new school. 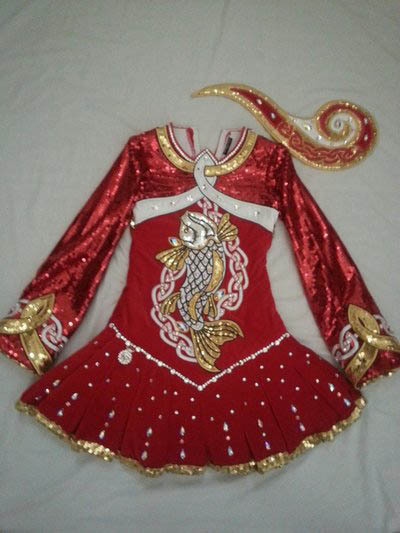 This stunning dress features the famous legend of the salmon of knowledge. Gold and red sequins and vibrant red velvet with a accent of white. 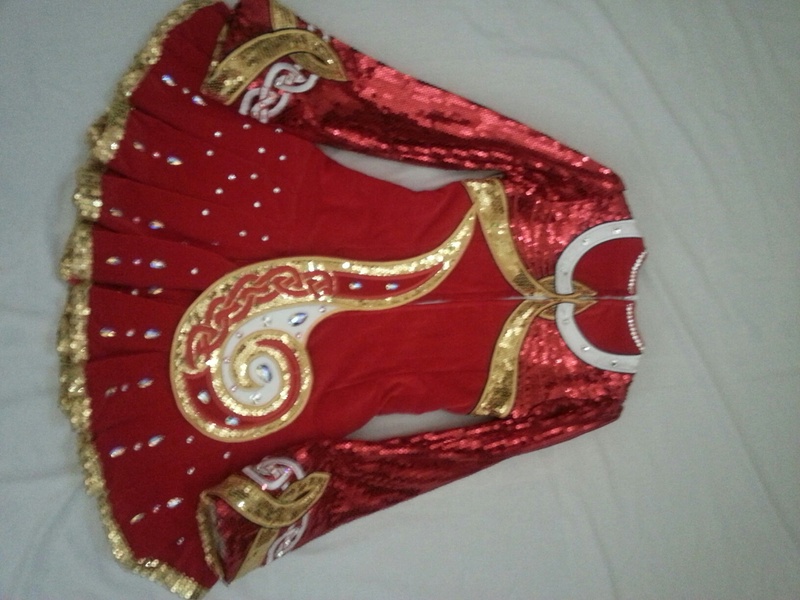 White celtic knot embroidery with gold sequin trim on skirt. Lots of AB and clear genuine Swarovski crystals. Let out room 1 inch each side and 2 inches on length. Lower price for quick sale. Asking Price: $US1450 OBO. Shipping costs are included for my own country, overseas shipping is extra. Sale is final.